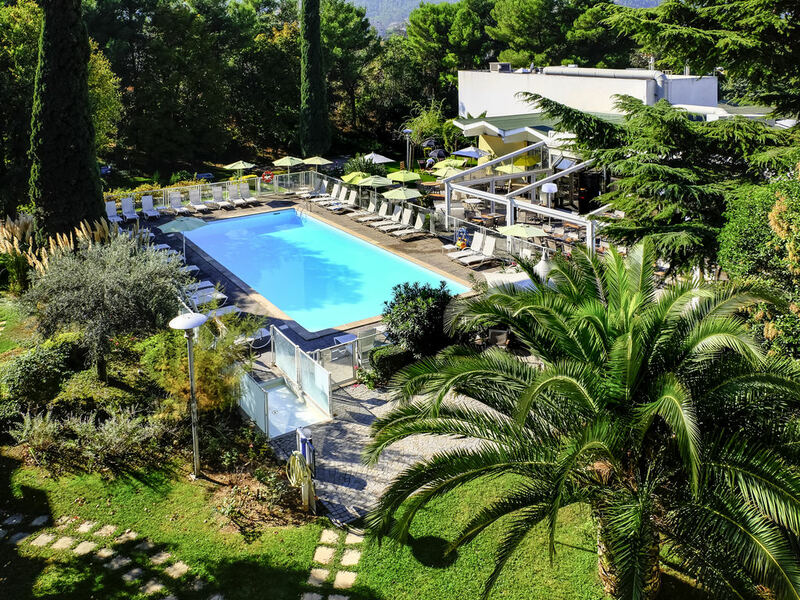 Set in a surrounding of greenery, the hotel is easy to access and ideally situated for touring Provence : discover the Vieux Port in Marseilles, Aix-en-Provence's Festival, Marcel Pagnol's Aubagne, the sandy beaches of La Ciotat, Cassis and the Calanques. Novotel Marseille Est is close to the Société Marseillaise de Crédit, Heineken and GE Health Care buildings. It is a short ride from the business parks in Gemenos, La Penne-sur-Huveaune and Toulon, and a stone's throw from La Valentine shopping area. The hotel has low standards on cleaness (room, bathrooms and glass restaurant). Is very expensive and far away from Marseille. Friendly, professional and my dog, received top dog treatment. My three days with you, after full days of research, were relaxing and my dog, Mike, joined me for dinner each evening in the restaurant and once in my room and our meals were delicious. His fresh pasta mixed with loads of chopped beef. As we had many hundreds of miles of travelling in my car, I wished to ensure when we were in the hotel I could see he was a happy dog. All the staff made a great fuss of him so I felt so much more comfortable. Thank you all, chef and general staff, very much. Cleanliness conditions far from expected level, especially common areas: hallways and staircases dirty beyond acceptable, with sticky handrails. Everyone was friendly and the surroundings were very pleasant. We live in Marseille, but took a mini family vacation to be able to swim, and everyone had a great time! Staff was ok, cleaning was done, hotel is very outdated, bad tub/shower was broken. Hotel is worn out and desperately needs refurbishment. As written above. The hotel is filthy. This is not a four star hotel. I have the impresion that the hotel has no kitchen. Our supper was half cold - warmed up in the micro wave owen but not enough. It is a pitty because the position is excellent and the staff is Ok. The rooms were clean and cozy. Just need improvement with their breakfast choices. Overall a good place to stay. Just a short stay, one night. Not much time to really form an opinion. Some things in the room could definitely improve (fridge not working, water heater not working either). Staff were friendly and helpful.room was clean and tidy.Pool was nice.Food was lovely but one bad meal which was the steak, and was a bit too expensive to eat and drink. But on the whole would recommend this hotel. When arriving in the room, the bathroom sink was blocked and there was no toilet paper. The two main things you need when arriving at the hotel after a long trip really... The room itself was old but clean. However, the door separating the entry hall and the sleeping room was broken. The hotel staff was very nice and issues (aside from the door) were quickly fixed but no compensation were offered. So overall, bad experience for a 4 stars hotel. The hotel looks old. Not very clean. The bathtub was leaking. The stuff lady who checked us in was very helpful. I think is expensive for what we have experienced. Excellent ! Especially the front desk service. Very well done.